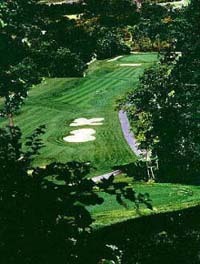 New - Poconos Golf Satellite Images! Each year, thousands of golfers choose Golf Pocono.com, a PoconosHotels company, to assist them and book their highly anticipated vacation to the "Golf Capital of the Mid Atlantic ". Our wide selection of Poconos Golf Packages will allow you to play your choice of more than 12 courses, while enjoying your stay in the comforts of a luxurious Condo, Golf Resort or golf Pocono inspected and approved hotel or Villa . If you're looking to just book tee-times, you've come to the right place also - Golf Poconos.com offers the easiest Poconos Tee Times! Our approved accommodations are conveniently located in close proximity to the most popular Poconos golf courses, attractions and entertainment venues, ensuring you or your group has a great time on... AND off the course! As the foremost and most trusted name provider of Poconos golf vacations. Call today and let our highly knowledgeable and friendly staff assist you with your golf package and course selections. When you book your golf vacation with GolfPocono.com, you can rest assured your trip will be both a great value and a great time! Poconos Golf Vacations and Packages Include: Lodging at a Golf Pocono reviewed and rated hotel - 1 Round of Golf Per Person Per Day - Shared Golf Cart. Golfing Package Prices Starting at $95 Per Person Per night midweek and $116 PPPN Weekends. Open - Play Golf ! Centrally located. Good course for most levels of players. Open - Play Golf! Most played course in the Poconos Mountains. 36 holes. Rt. 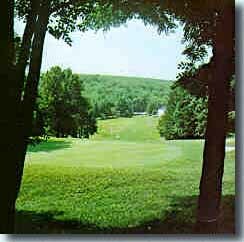 940 and Jack Frost Mountain Road, Blakeslee, PA 18610 Spanning over 7,200 yards and more than 200 acres, the course is located on the crest of jack Frost Mountain and a natural oak forest. Enjoyable for players of all skill levels. A 6933 yard golf course with challenging elevations featuring four lakes, over 60 sand trps and a signature island green. Open - Play Golf ! Hilly and medium width fairways. Medium greens. Open - Play Golf ! 2 eighteen hole courses on a heavily-wooded mountain top. Both are "traditional inland layouts" with wooded terrain & small & well-sloped greens with grass bunkers. The site of both Senior & LPGA Tour events. Shot accuracy is essential off the tees on both courses. The fairways are tree lined. Open - Play Golf ! With a country club atmosphere, Pocono Palace is perfect to indulge your passionate love of sports. Warm up your golf game by practicing on the putting green or the driving range. Then off to the 9-hole regulation golf course of velvety-smooth greens and challenging tight fairways. We also Partner with Golf Travel Ideas for Golf Travel to other Destinations. These Pocono Golf Courses are a short trip from New York, Northern or Southern New Jersey or Philadelphia. Come for the day or stay over with one of our Pocono Golf and Stay Over Packages.